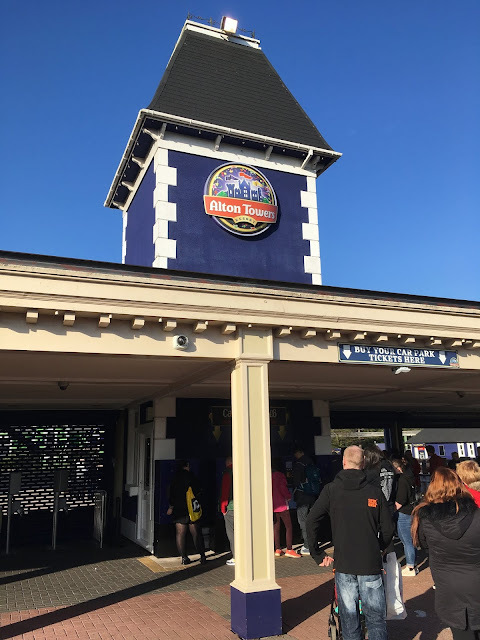 Today we head to Alton Towers in England to see what's new for the 2019 season! 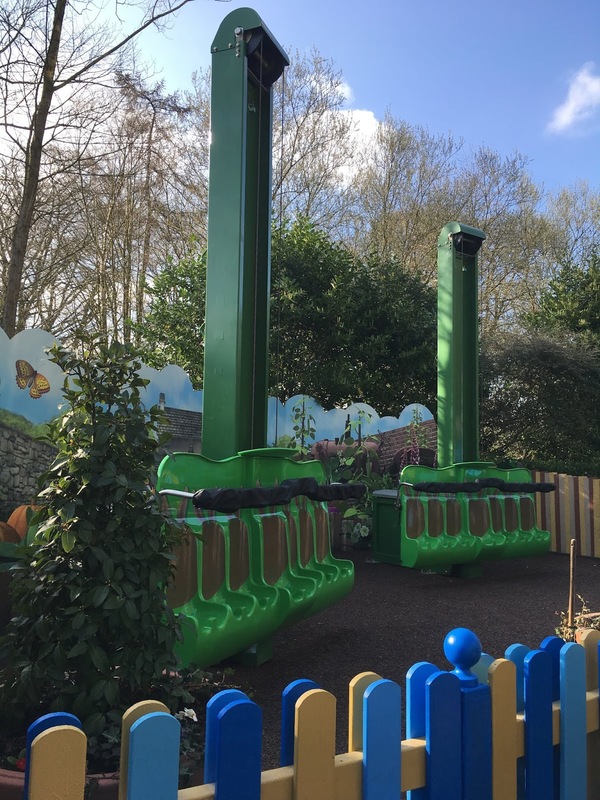 The park has numerous new rides, attractions, restaurants, and more for guests to experience and enjoy! 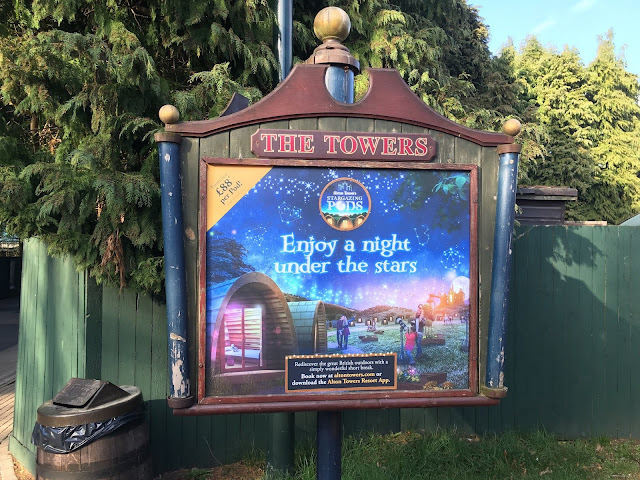 Stargazing pods are one of the many new attractions at the resort for 2019. 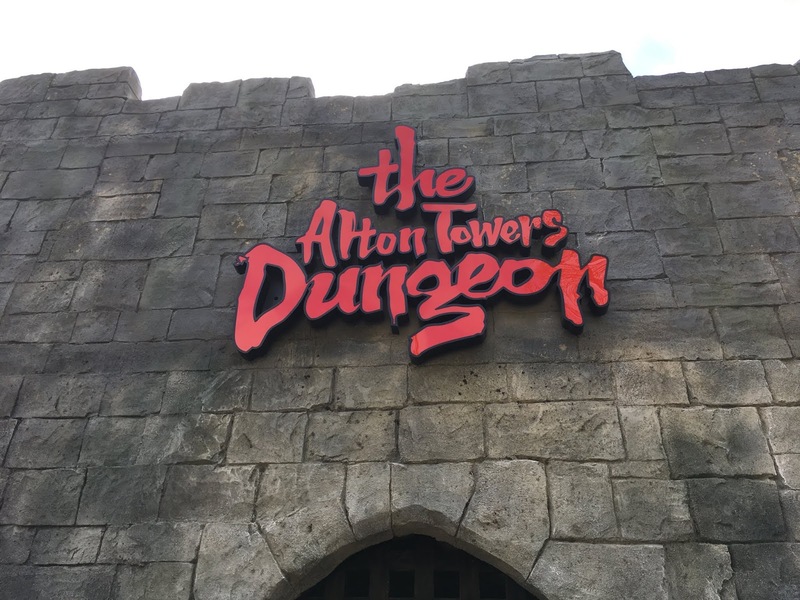 Guests can rent them for the night and have a unique on-site accommodations experience! First up, one of the new attractions for 2019 is in the CBeebies Land kids area: Peter Rabbit Hippity Hop! 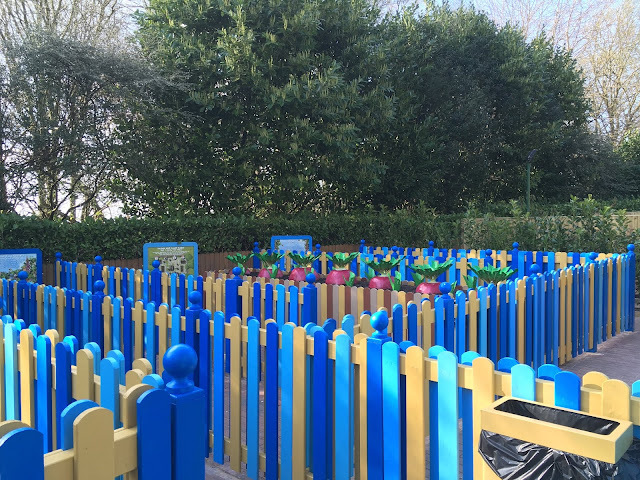 Colorful picket fences make up the queue line. A pair of mini "Frog Hopper" style towers make up the ride itself. 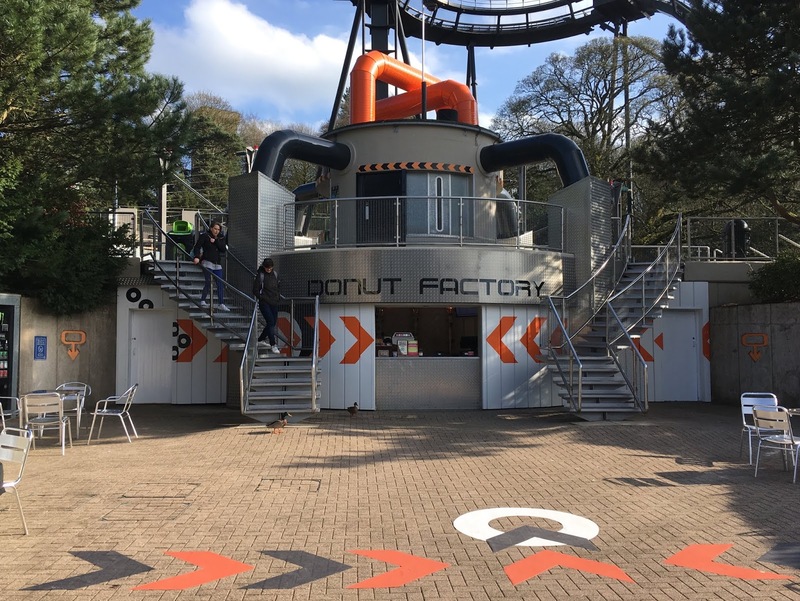 It is a nice, smooth ride for thrill seekers in training. 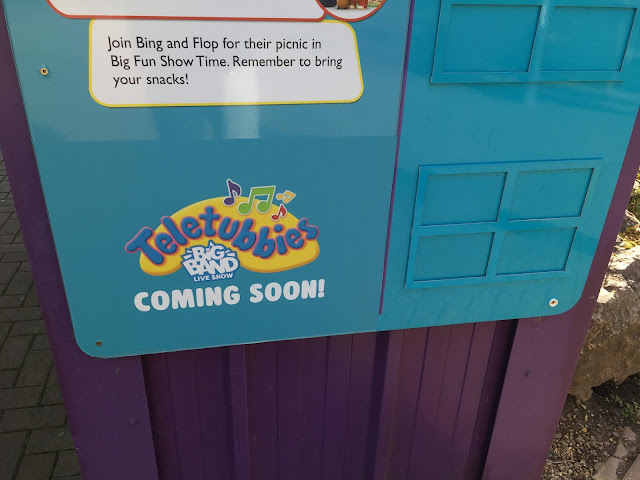 Also nearby, the new Teletubbies Big Band live show is coming to the Big Fun Show Time outdoor stage area for 2019. 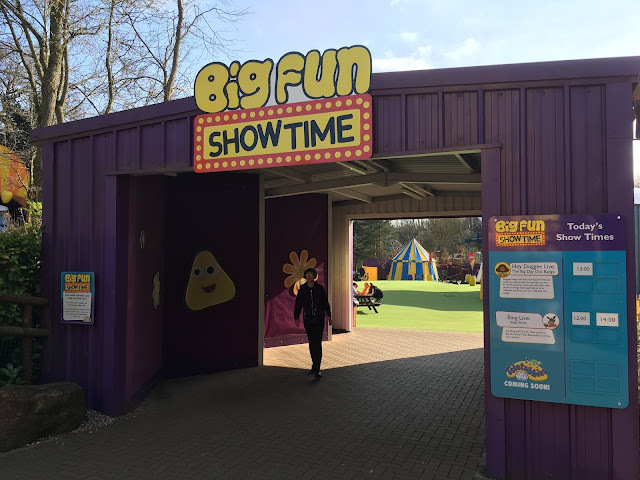 The show has not started running yet, but should begin its first performances in the near future. 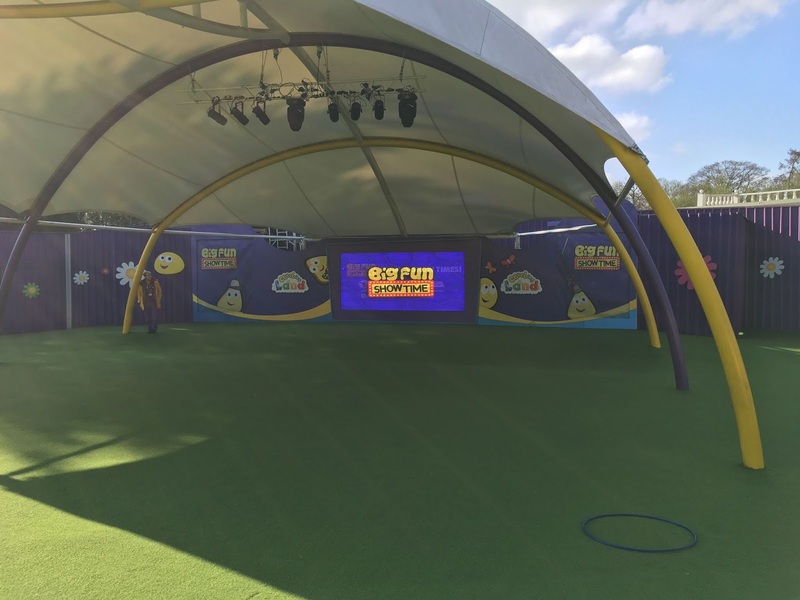 That sun shade likely comes in handy during the warmer months! 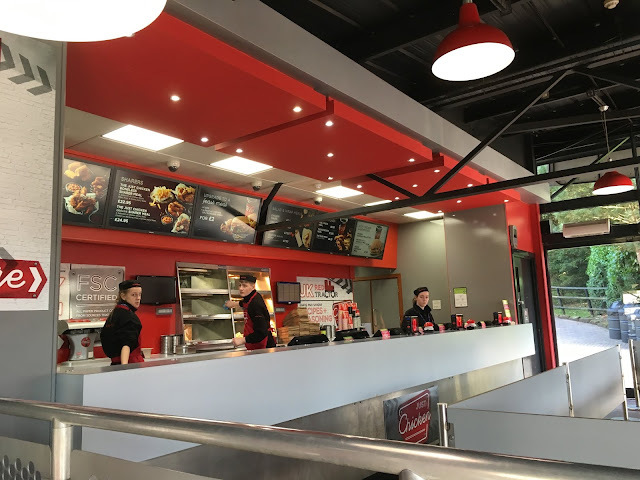 Moving on, the new Just Chicken quick service restaurant is now open for business. 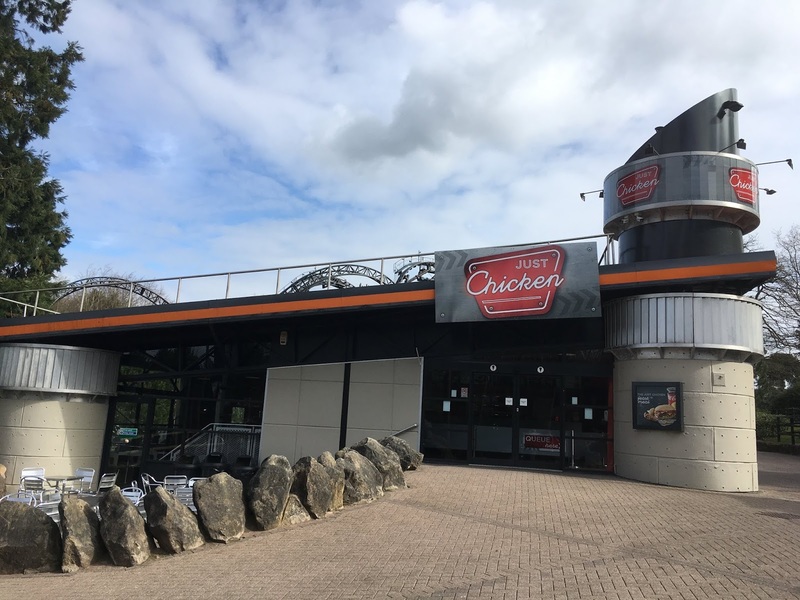 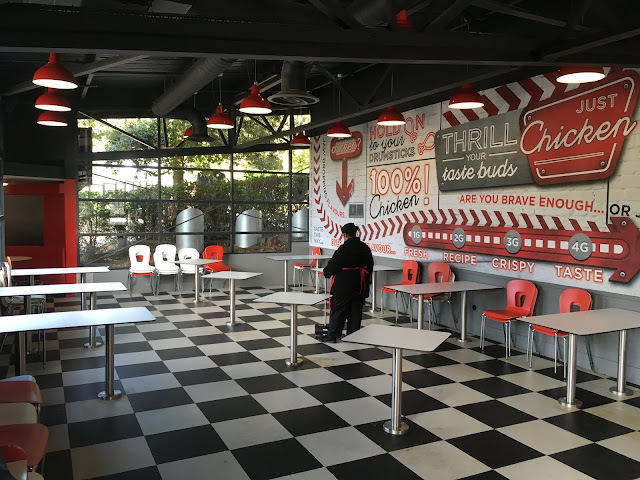 The restaurant was previously called Fried Chicken Co., and received the retheme for this season. 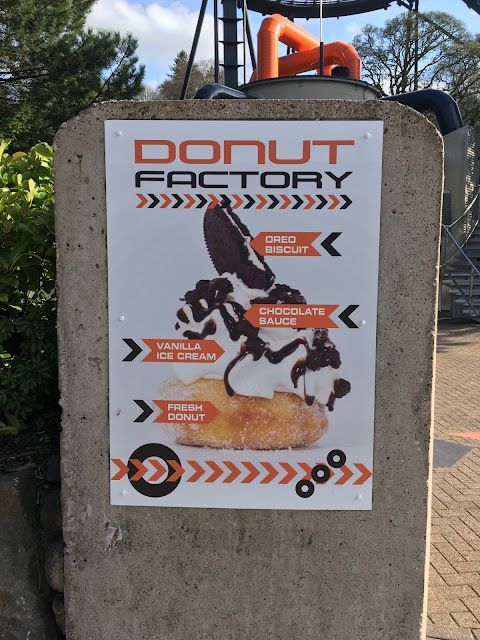 Also nearby, the new Donut Factory shop is now open. 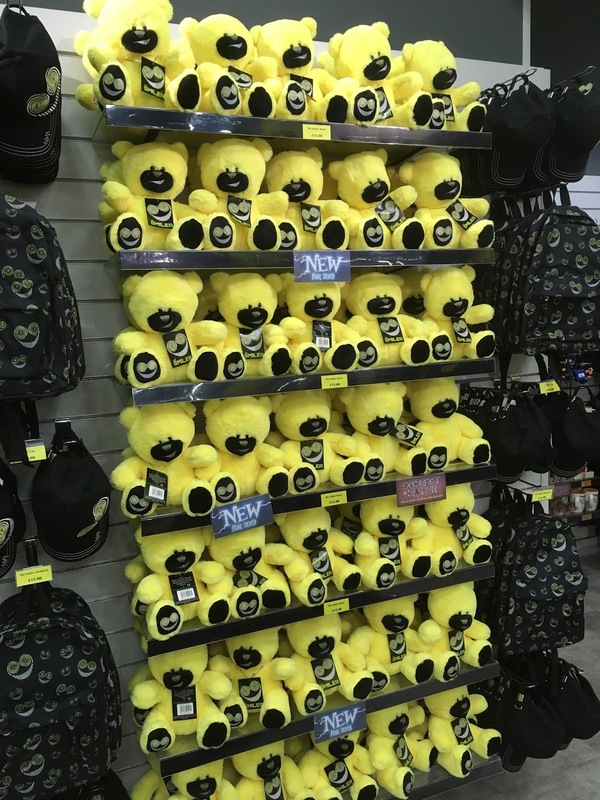 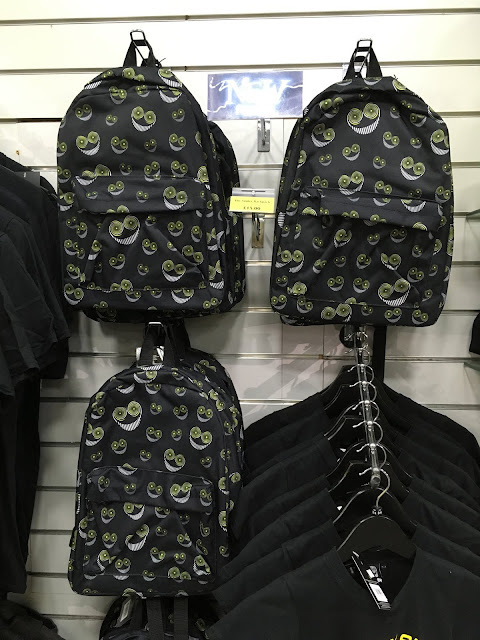 Over in The Smiler's gift shop, new merchandise items have been introduced for 2019. 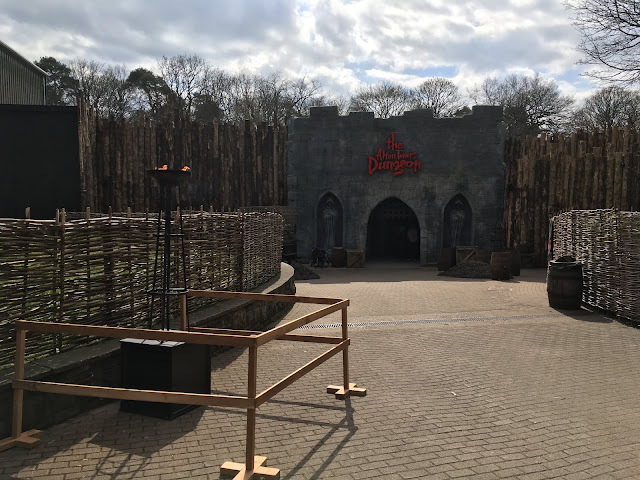 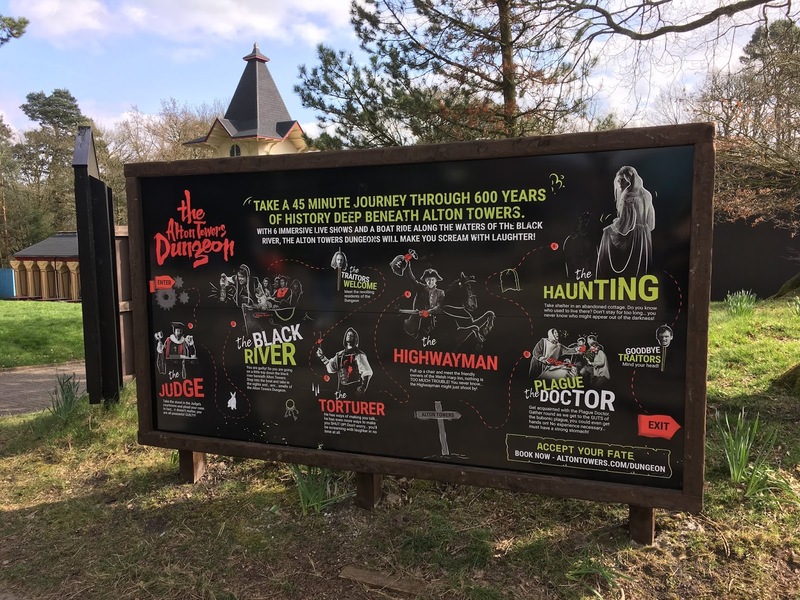 Over by the castle itself, the park's major new 2019 attraction is The Alton Towers Dungeon. 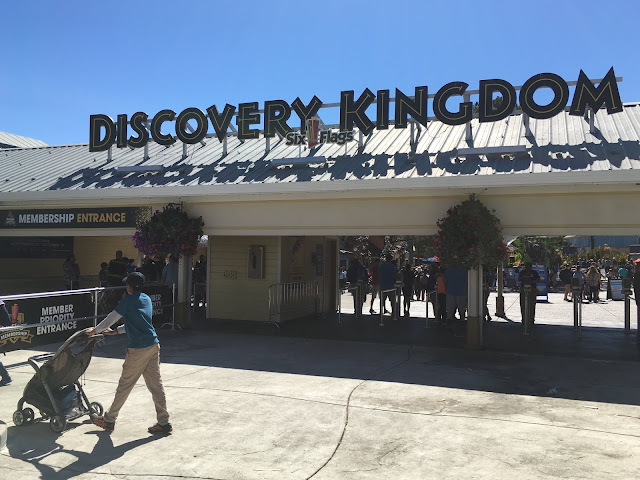 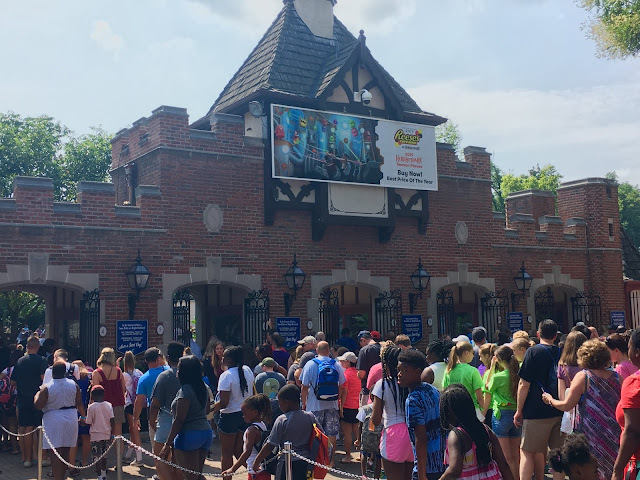 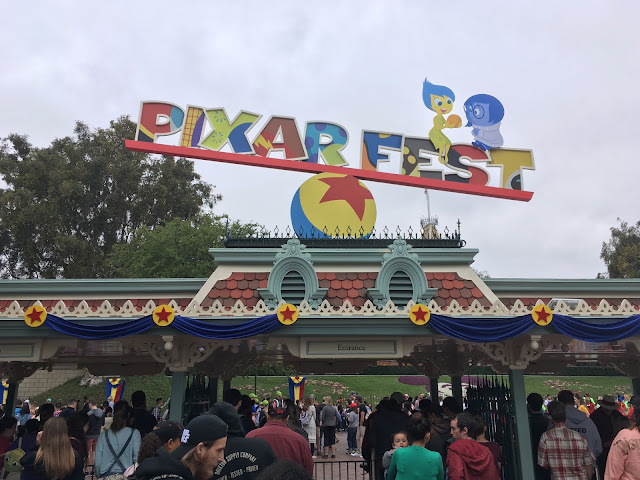 This attraction is very similar to other dungeons that operator Merlin Entertainment has previously opened at locations around the world (including the San Francisco Dungeon that we reviewed for Theme Park Overload a while back!). A combination of live actors, elaborate show sets, and a boat ride all come together to form this unique experience. 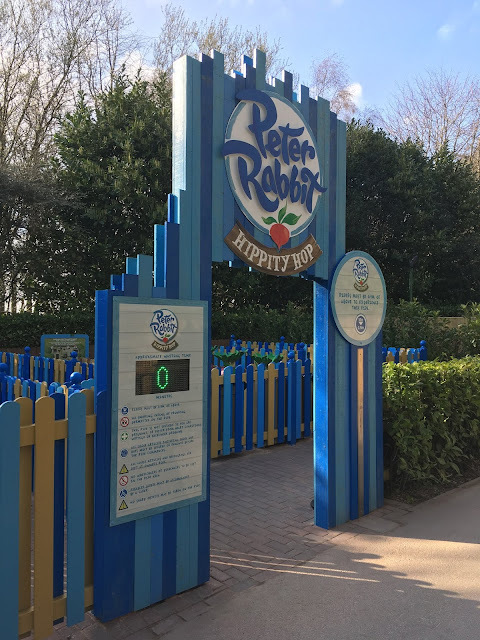 It is an up-charge attraction that costs a small fee. But, repeat visitors to Alton Towers that are looking for new experiences will likely find the cost worth it!